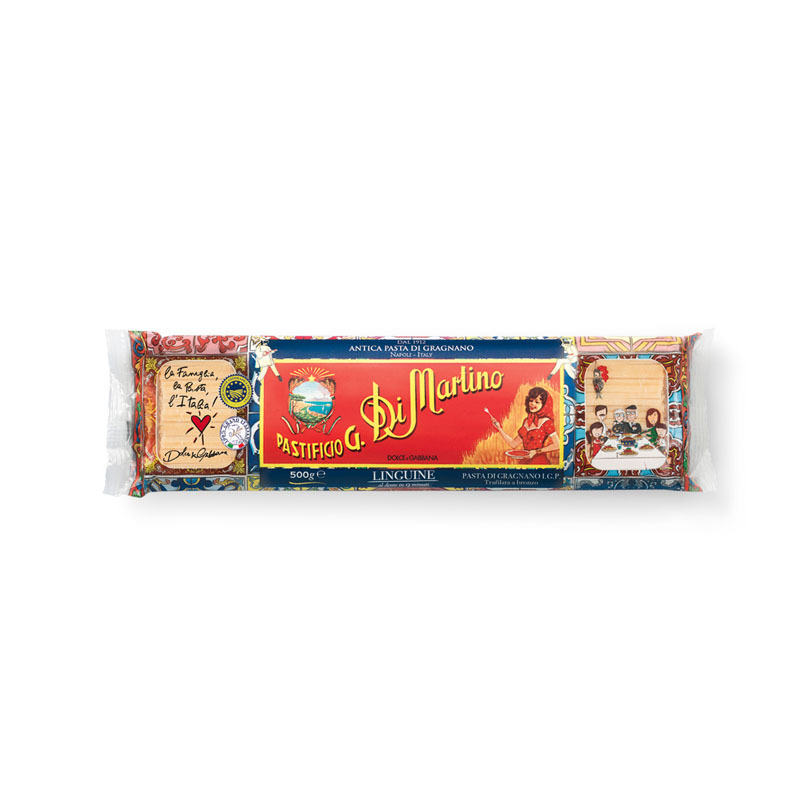 Dolce & Gabbana has signed the new look of Di Martino pasta. 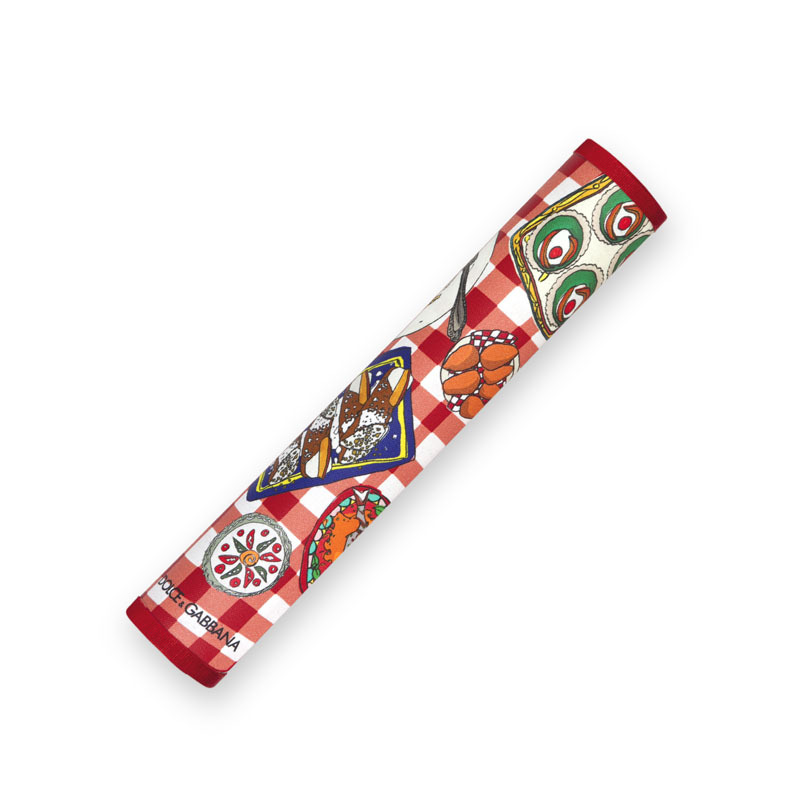 A Special Edition celebrating the Italian excellence through the colors, symbols and monuments identifying the Country. 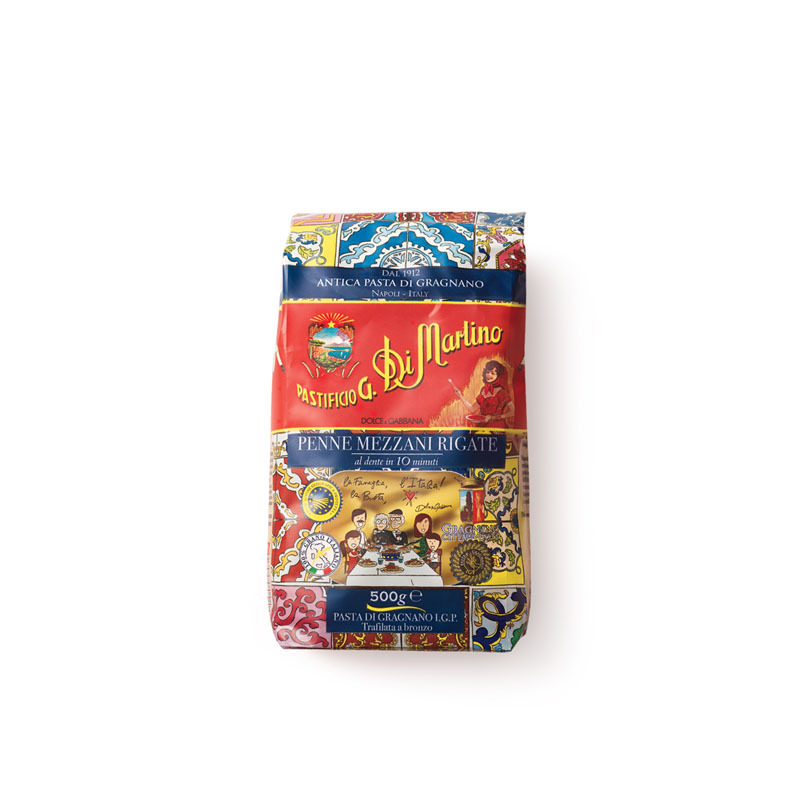 The new packs have become real postcards from Italy, to enliven and scent tables worldwide thanks to their lively Mediterranean design. 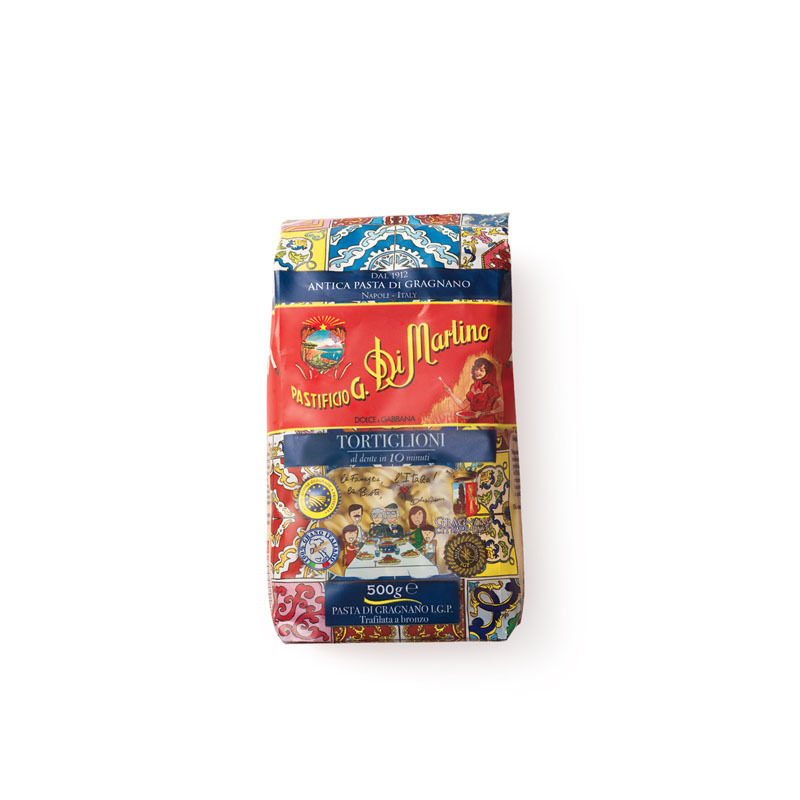 Pastificio Di Martino has always made PGI Gragnano Pasta by mixing the best 100% Italian durum wheat semolina together with the spring water coming from Monti Lattari. 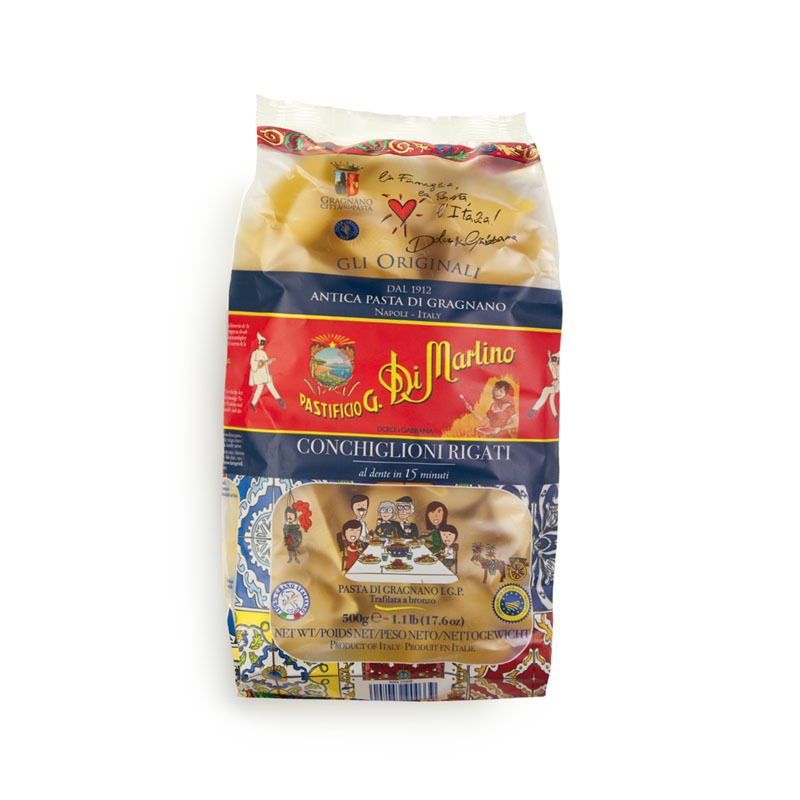 The extrusion of the dough through bronze die and the peculiar drying process at low temperature confer pasta a very rough surface, able to enhance the seasoning and keep the wheat aroma intact. 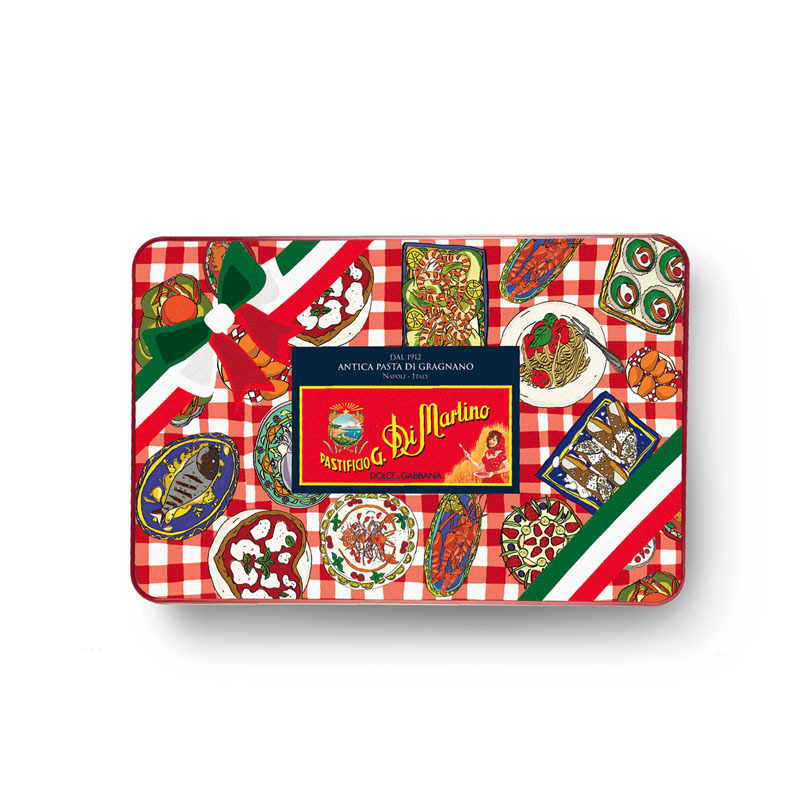 "The ingredients of a unique present: liveliness, flavour, and tradition"
The two special editions born to celebrate the italian excellence including exclusive accessories designed by Dolce&Gabbana. 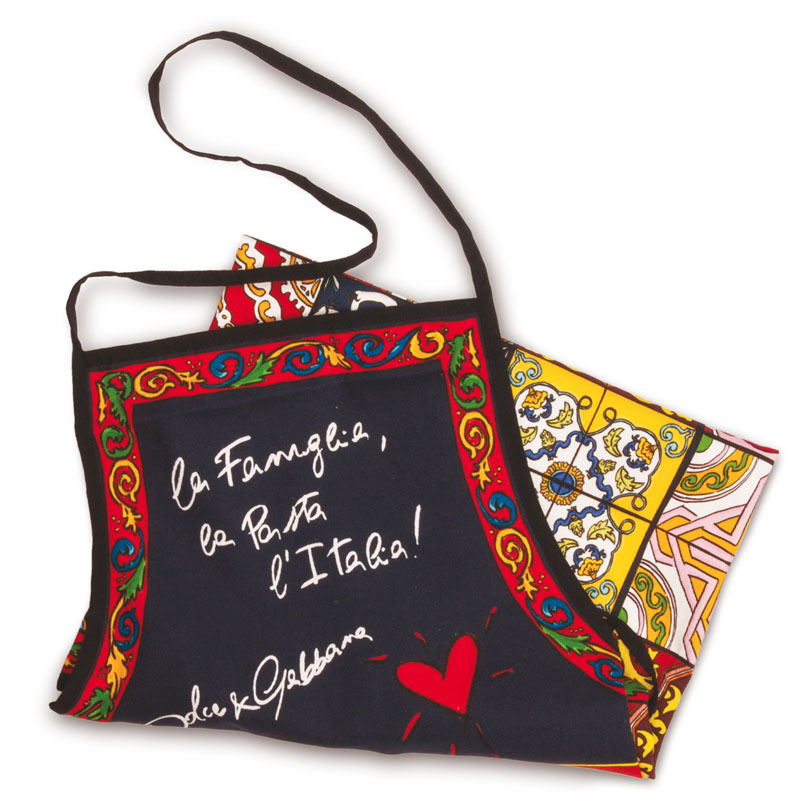 The fashion apron included in “The Original”. 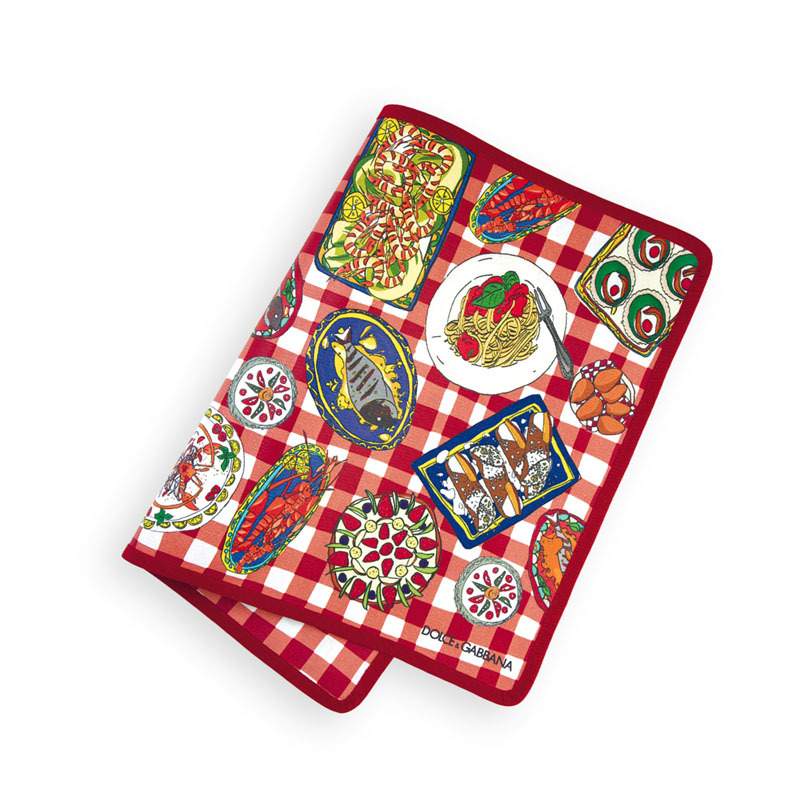 The colorful placemats included in the “Special Edition”. 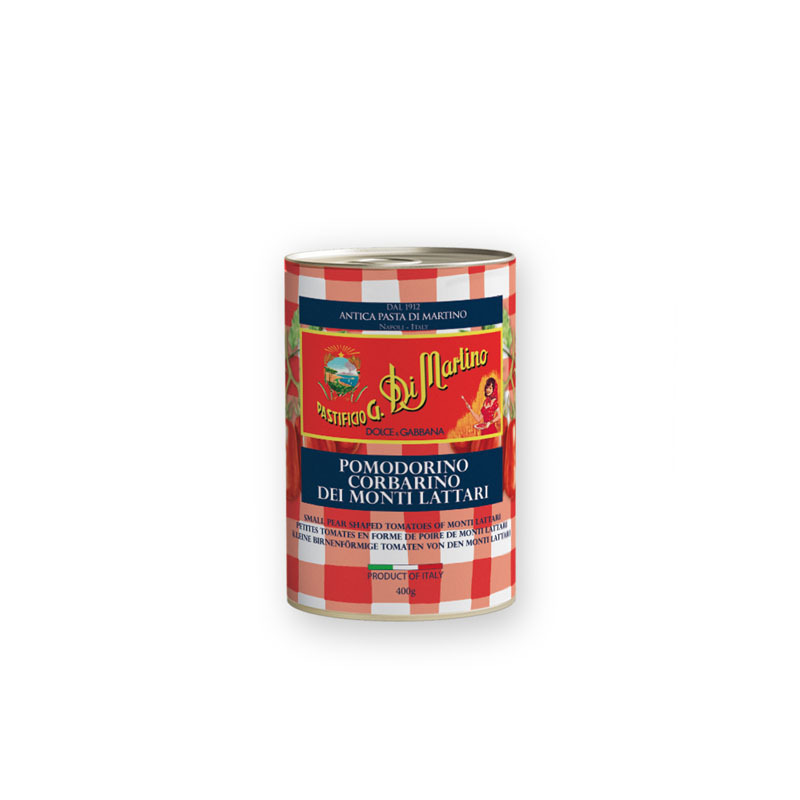 N. 2 tins of Corbarino Tomato from Monti Lattari. 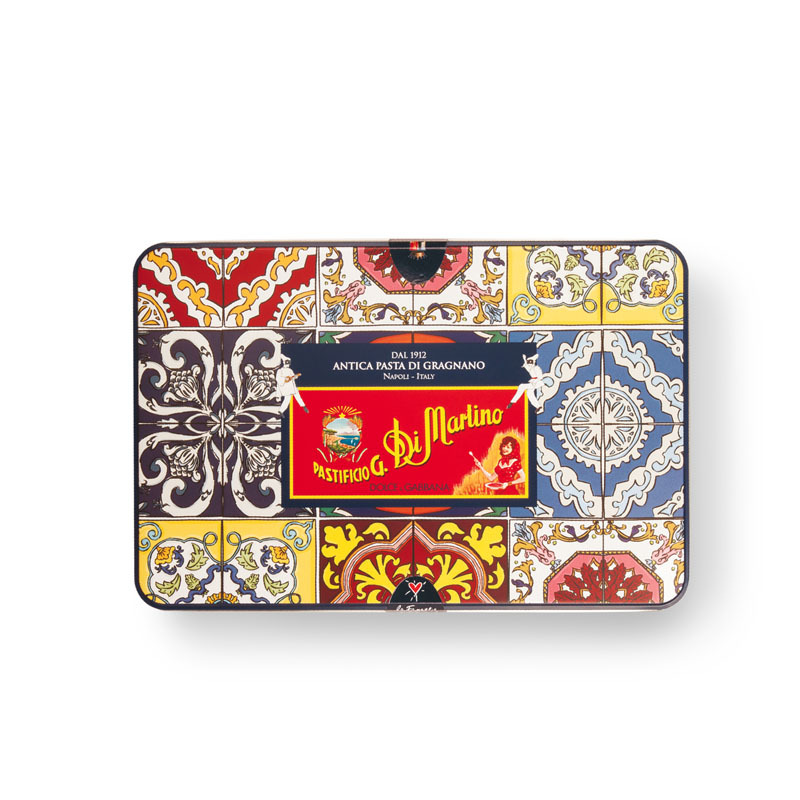 N. 2 limited edition placemats designed by Dolce&Gabbana stylists exclusively for Pastificio Di Martino. Long circular shape whose appearance evokes a twine. They immediately bond with everybody tasting them: impossible to resist them, especially when paired to simple and genuine seasonings. Short shape, featuring the same section of Mezzani, a striped surface and an oblique cut. 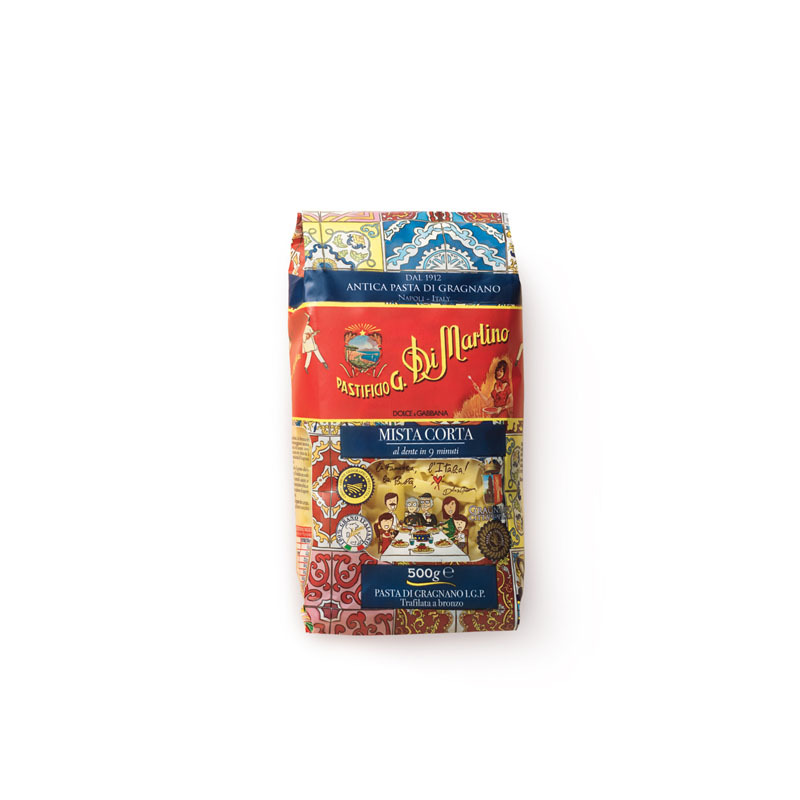 They are perfect with meat or cheese sauces. 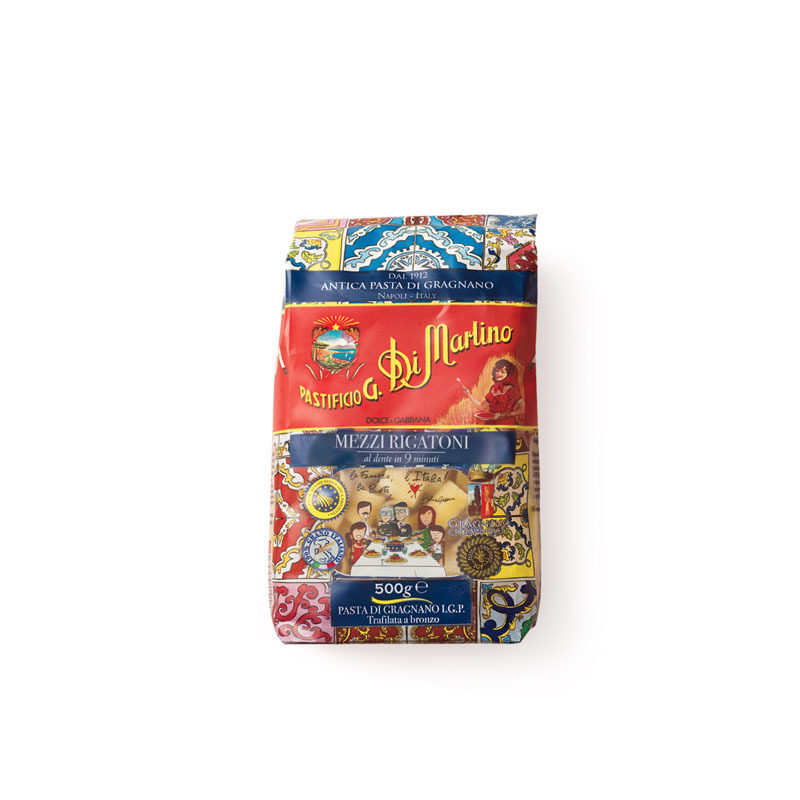 This mixture of small shapes comes from the old families habit to keep various pasta shapes left-overs and put them altogether into a single soup, usually legumes or vegetable-based. 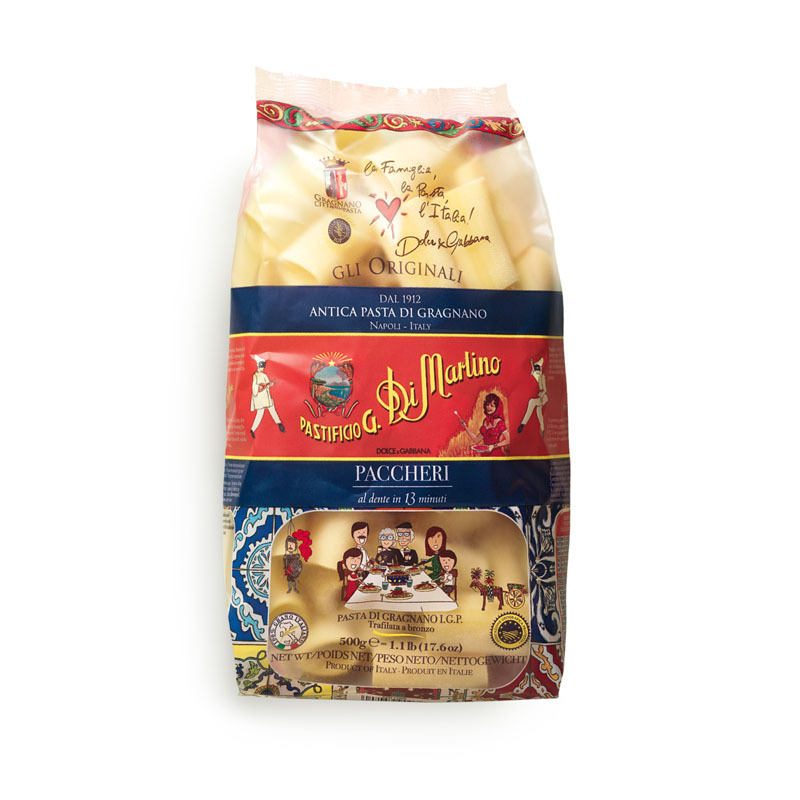 Great classic of the Neapolitan tradition, they are believed to be so-called because, when blended with their sauce, they recall the sound of a slap, a “pacchero” indeed. Their strong point? Versatility! Put them in the oven, sauté them in a pan or make a sweet seasoning and serve them as a dessert. 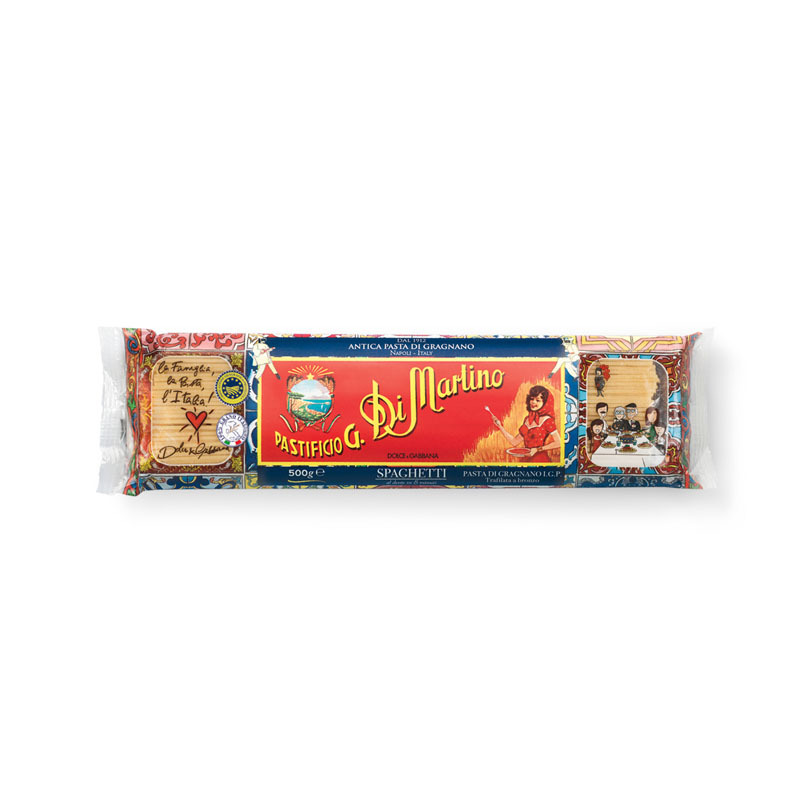 In the past, in Gragnano, pasta was used to be sold hand-wrapped into blue sugar paper called “macaroni paper”.